Audi had a very good product in the A6, one that managed to stand up to the competition despite its relative age. Audi completely redesigned it anyway though, and the new A6 now poses an even bigger threat to such big sellers as the BMW 5-Series. 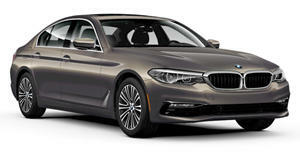 Specifically, the A6 poses a threat to the 535i, since the bigger threat to the 328i and 550i is, well, the 535i. The A6 and 535i are actually so similar in so many ways that finding differences isn&apos;t easy. Nonetheless, there are differences, and as is usually the case with the Germans, the details are important. The A6 has gotten a ribbing from those in the automotive press (including myself) for looking too nondescript and too like the rest of the Audi lineup. This is a fair criticism, but it&apos;s also one that could just as easily be leveled at the 535i. Neither car will turn heads, but the styling isn&apos;t dated or unpleasant in any way on either car. Base price on the two is within a few hundred dollars of each other, although it should be noted that the all-wheel-drive that comes standard on the A6 will put you back a couple thousand dollars on the 535i. On the subject of wheels, Audi moved the front axle on this A6 forward to correct the understeer problem that Audis tend to suffer from. This makes for a much better driving experience, and while the 535i also handles well, the BMW&apos;s numb steering doesn&apos;t make for a driving experience as enjoyable as the one in the Audi. Both cars are powered by six-cylinder forced-induction engines, and both of these produce 300 horsepower. Once again though, we need to take a closer look. The Audi V6 produces 25lb-ft more torque than the BMW straight six, and the Eaton supercharger on the A6 delivers much more linear power than that delivered by the turbo induction used in the 535i. 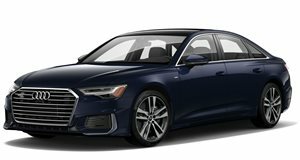 Thanks to Audi&apos;s extensive use of aluminum, the A6 is noticeably lighter than the 535i, even when comparing the all-wheel-drive A6 to the rear-wheel-drive 535i. This all means that the A6 can beat the 535i to 60mph by half a second, the same half a second that it beats the 535i by in the quarter mile. Of course, quarter mile times don&apos;t matter too much to people buying these cars, there are M5s and RS6s for that. The interior is a much more important part of the car, and again, either would make an excellent road trip vehicle. The 535i has a very nice interior, one that has a strong resemblance to that of the 7-Series, and that says a lot of very good things about it. The A6 is still just a little bit better on the inside. It looks better, the materials are that extra bit nicer, and the controls are that extra bit easier to use. The 535i is an excellent car, but it still falls just short of the A6. That said, outside of those rare occasions when you might drive the two back-to-back, you would have to be paying mighty close attention to tell the difference.